Pasadena, Arcadia, Monrovia, Temple City, Duarte, Irwindale, Azusa, Glendora, La Verne, Claremont, Montclair, San Dimas, Pomona, Diamond Bar, Chino, Chino Hills, Walnut, La Puente, West Covina, Covina, El Monte, South El Monte, Hacienda height, Rowland height, Baldwin park, Whittier, Pico Rivera, Montebello, Monterey Park, Rosemead, Commerce, Bell, Bell Gardens, Downey, Santa Fe Springs, South Whittier, La Mirada, La Habra, Brea, Yorba Linda, Placentia, Fullerton, Buena Park, Cerritos, Bellflower, Lakewood, Hawaiaan Gardens, Cypress, Anaheim, Orange, Garden Grove, Los Alamitos, Long Beach, Signal Hills, Santa Ana, Irvine, Costa Mesa, Huntington Beach, Seal Beach, San Pedro, Ranchos Palos Verdes, Palos Verdes Estate, Palos Verdes Peninsula, Redondo Beach, Torrance, Carson, Manhattan Beach, Lawndale, Gardena, Willowbrook, Hawthorne, El Segundo, Lynwood, Southgate, Inglewood, Marina Del Rey, Playa Del Rey, Westchester, LAX, Venice, Culver City, Santa Monica, Pacific Palisades, Malibu, Century City, Beverly Hills, West Hollywood, Silver Lake, Bel Air, Studio City, Los Angeles, Sherman Oak, Encino, Woodland Hills, Winnetka, Canoga Park, Reseda, Northridge, North Hills, Van Nuys, Panorama City, Granada Hills, Sun Valley, Pacoima, Porter Ranch, Sylmar, Valencia, Tujunga, La Crescenta, Montrose, Highland park, Eagle Rock, San Gabriel, San Marino, South Pasadena, Sierra Madre, Lynwod East Los Angeles, Alhambra, Monterey park, Glendale, Burbank, La Canada Flintridge, and San Fernando. 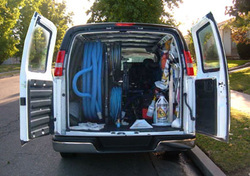 Keeping your floors clean and those who use them safe is a responsibility we do not take lightly. Our products are Pet and Baby safe. Great news for Businesses and Homes alike. most of which are listed below. 3M Scotchgard to protect your carpets from stains. Any of these services can make a great gift, even if it's to yourself.